Join us Friday, May 10th as we discuss the city’s outlook, opportunities, challenges, and trends. The Statewide Florida Summit brings together industry leaders to connect on the trends, changes, and challenges driving our industry. Here at the Urban Land Institute our mission is to provide leadership in the responsible use of land and in creating a sustainable, thriving future for our communities. We carry forth that mission by serving the Southeast Florida and Caribbean region with pragmatic land use expertise and education. 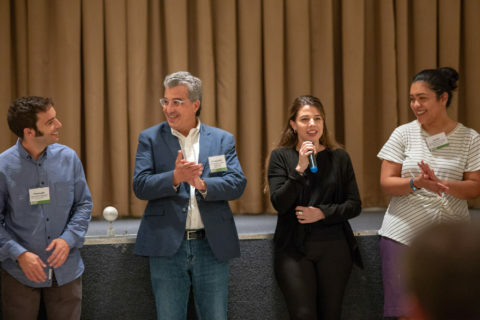 The 2019 Florida Summit will gather more than 700 ULI members and non-members interested in the progress and prosperity of our state will convene at the annual statewide Summit in June focuseing on today’s changing markets, trends, and opportunities, and feature leading industry professionals. The annual Florida Summit is hosted and produced jointly by the five ULI District Councils of Florida. 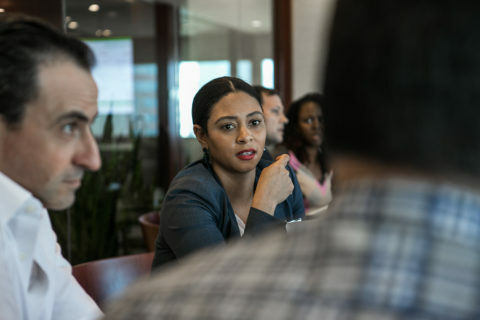 Join ULI Southeast Florida/Caribbean to hear from top professionals in the South Florida market who are currently navigating and developing the state's medical marijuana industry. Learn about all aspects of this budding industry - zoning and legislation, investment challenges and opportunities, and who's who in South Florida's medical marijuana market. 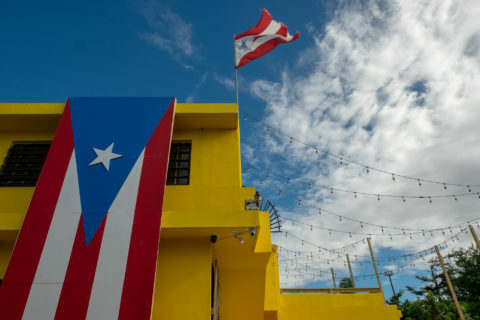 Puerto Rico members: Join us at Casa Bacardi on May 1st for a networking reception! ULI Central Florida is recruiting additional UrbanPlan trained volunteers. 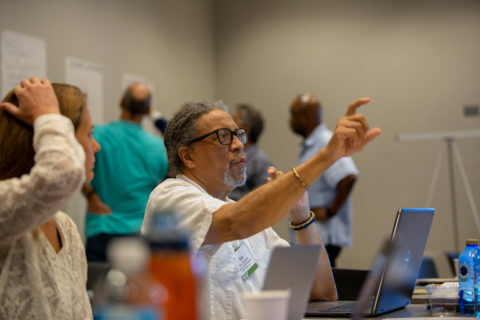 Those trained will be expected to participate either or both the City of Maitland UrbanPlan for Public Officials Workshop (date in May tbd) or the Florida Summit Statewide UrbanPlan for Public Officials Workshop on June 12. Follow @ULISEFlorida on Facebook, Twitter, and Instagram to stay up to date on news, local events, and more! Have you registered for our West Palm Beach Development & Investment Forum? See the agenda and learn more about our speakers: https://t.co/pQWODcerN6. 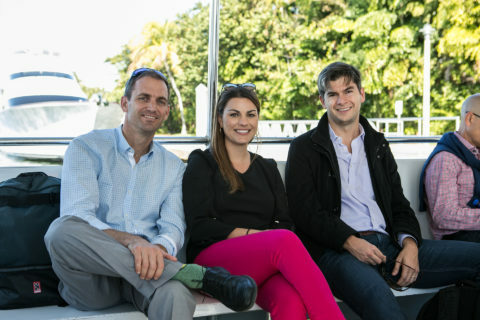 Members of the 2019 Leadership Institute Class participate in a boat tour of Fort Lauderdale during the program’s day on resilience and sustainability. Members of the Leadership Institute Class of 2019 work on leadership projects with their teams at the program’s day on Resilience. Toa Baja Mayor “Betito” Márquez (left) speaks with ULI Southeast Florida / Caribbean Chair of Mission Advancement Tom Roth, on the ULI Advisory Services Panel’s field visit to the banks of Rio La Plata. 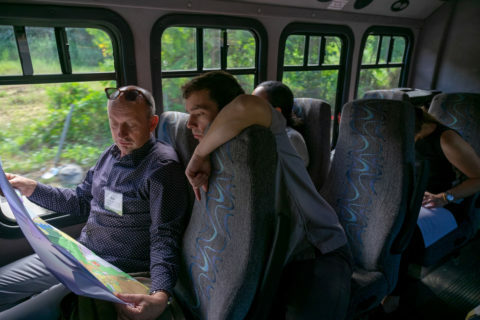 Advisory Services Panel members Bob van der Zande (left) and Fernando Liaño Berjano study a map of Toa Baja during a field visit to various sites within the municipality of Toa Baja. 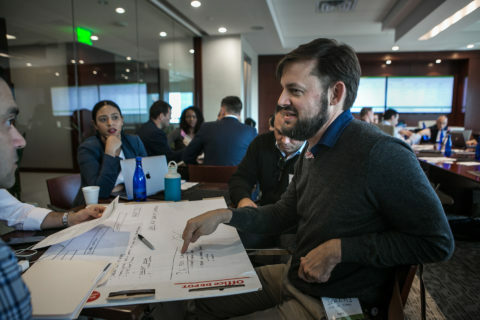 Advisory Services Panelist Don Edwards reacts to ideas proposed by the resilience-focused team during the Urban Land Institute’s Advisory Services Panel for the municipality of Toa Baja, Puerto Rico. To his left, Jessica Boehland from The Kresge Foundation. Photo of the Palo Seco area, taken during ULI’s Advisory Services Panel in Toa Baja, PR in December 2018. 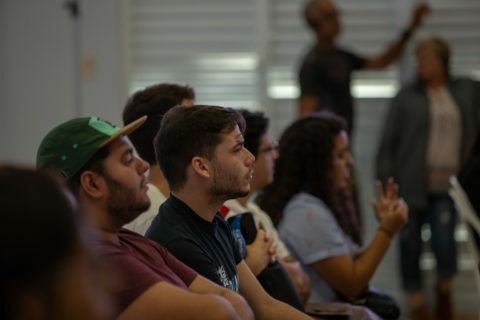 Members of the public listen closely as the Urban Land Insitute’s Advisory Services Panel team presents their recommendations for the municipality of Toa Baja. 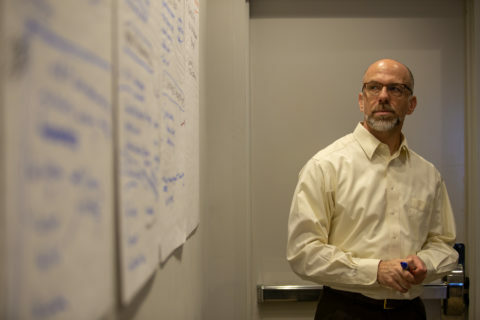 Michael Bloom of the Urban Land Institute’s Advisory Services Panel gathered to work on recommendations for the municipality of Toa Baja, Puerto Rico. Urban Land Institute Advisory Services Panel members’ welcome reception with Toa Baja residents, community activists and municipal personnel. Kamilah Acebal-Acevedo, panel intern, introduces herself to the guests during the panel’s formal introduction to the community. With her, left to right: Fernando Liaño Berjano, Chris Calott and Jacqueline Canales. 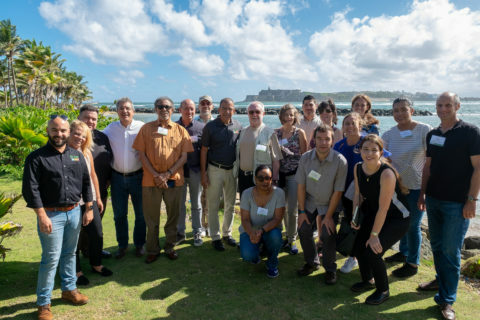 Advisory Services Panel members and representatives from the municipality of Toa Baja pose for a photograph in Isla de Cabras, on the western shore of San Juan Bay. Left to right top row: Edgar Gomez, Desiree Pearlman, Dennis Roman (municipal representatives), Chris Calott, Don Edwards, Bob van der Zande, Michael Bloom, “Betito” Marquez (mayor of Toa Baja), James De Francia, Trini Rodriguez, Carlos Olmedo (former Planning Board Director of Toa Baja) Sarah Sieloff, Jessica Boehland (The Kresge Foundation), Jacqueline Canales, and Tom Roth. Front row, left to right: Grace Hill, Fernando Liaño Berjano, Leah Sheppard and Kamilah Acebal-Acevedo. Urban Land Insitute’s Advisory Services Panel presents their recommendations for the municipality of Toa Baja. 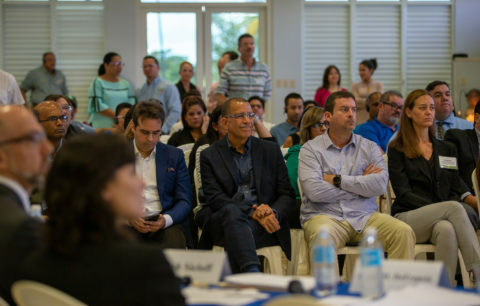 Sitting in the front row (l-r): Ricardo Alvarez-Diaz (ULI-Puerto Rico chapter co-chair), Toa Baja mayor “Betito” Marquez, Alfredo Martinez Sanchez (vp of Puerto Rico Builders’ Association) and Jessica Boehland (The Kresge Foundation).